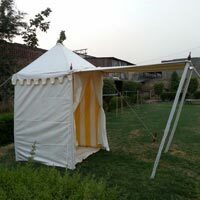 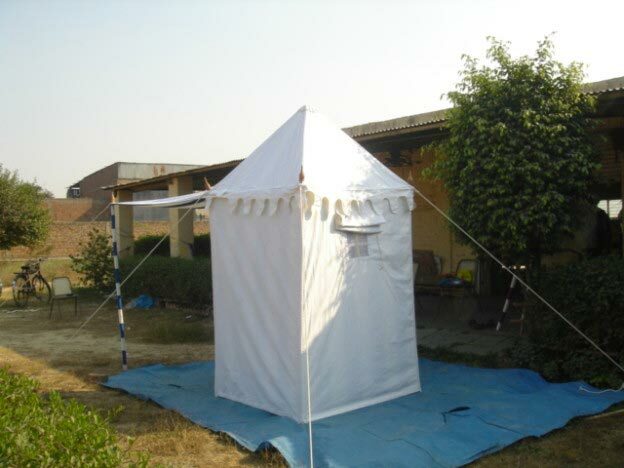 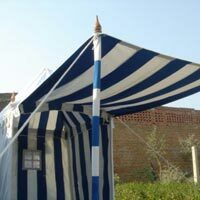 We are counted amongst reputed organizations engrossed in manufacturing, exporting and supplying of exclusive range of Tea Garden Tents big and small. 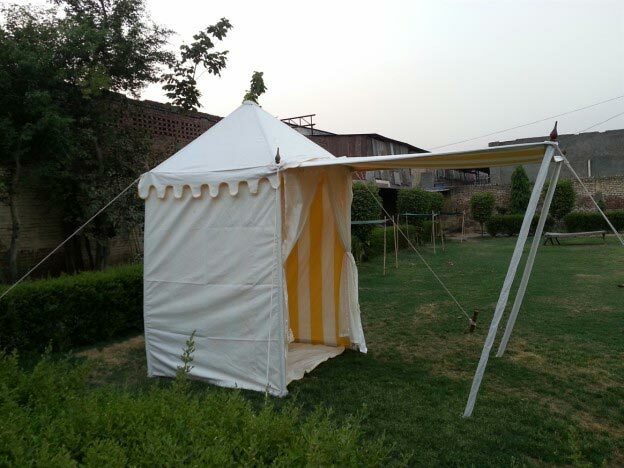 One can comfortably sit and relax in these tents and have their evening Tea. 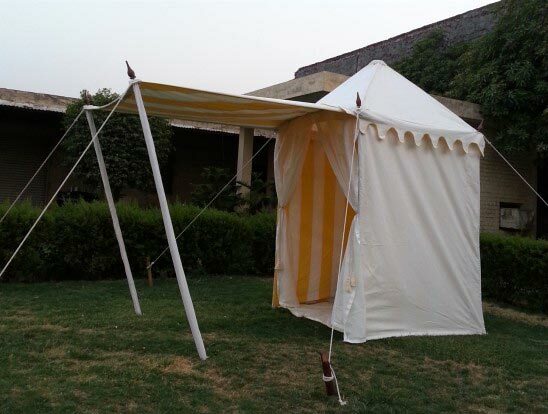 One can be left mesmerized by seeing the fine prints and colors. 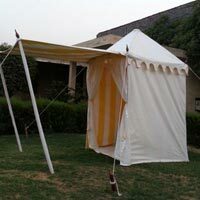 These Tents come with detachable door that is held on a canopy. 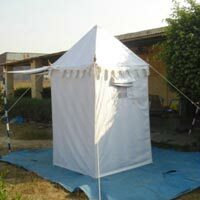 We can customize these Garden Tents according to buyer’s requirements. 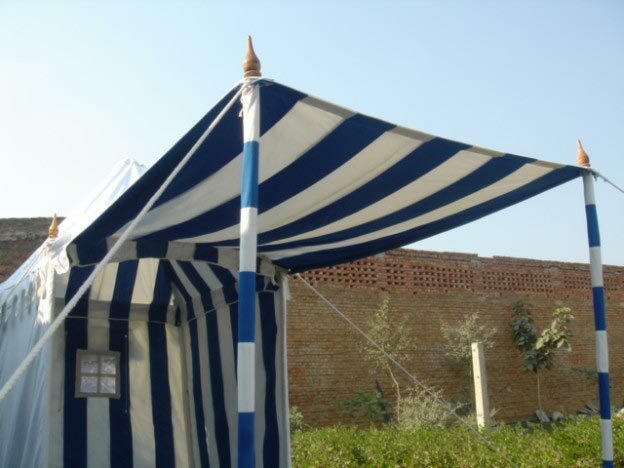 Carefully selected Bamboo poles, carved wooden pegs, cotton ropes, beautifully carved wooden pole tops, iron pins etc.